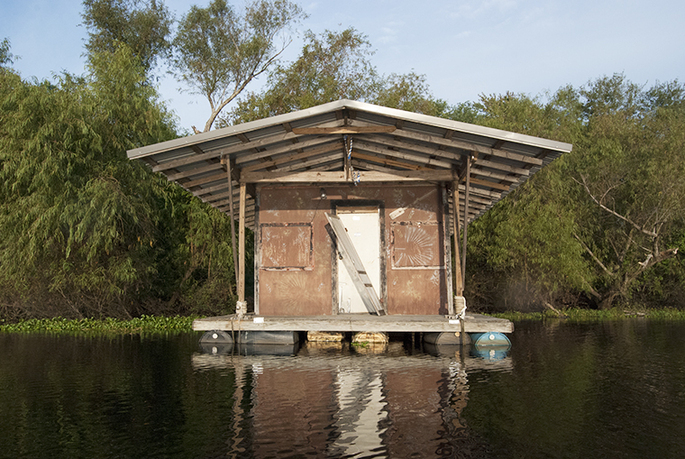 Virginia Hanusik, houseboat on Lake Maurepas. 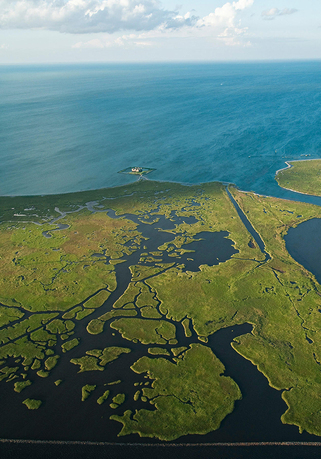 South Louisiana is experiencing the effects of coastal erosion faster than anywhere in the world, losing a football field-size piece of land every thirty minutes. It is projected that by 2100, most of South Louisiana will be under water. 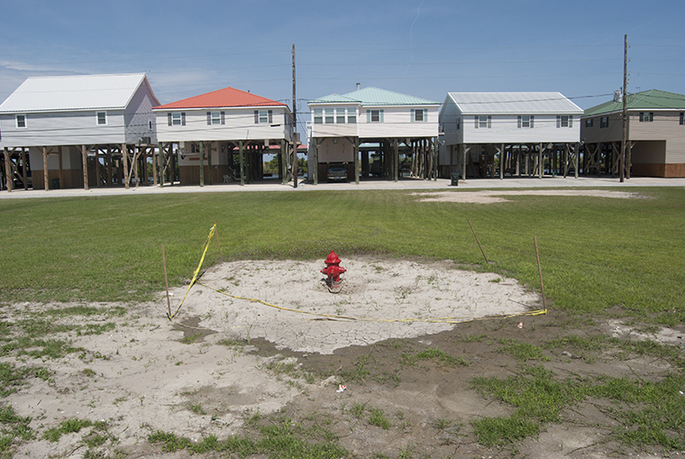 In an attempt to combat the rapid sea-level rise, state policies mandate the elevation of homes below sea level, and, as a result of this and similar resiliency measures adopted, residents of these lowlands have had differing capacities to implement the forced structural changes. This project looks at the history of building practices and architectural adaptation in Southeast Louisiana since the seventeenth century to the present day. 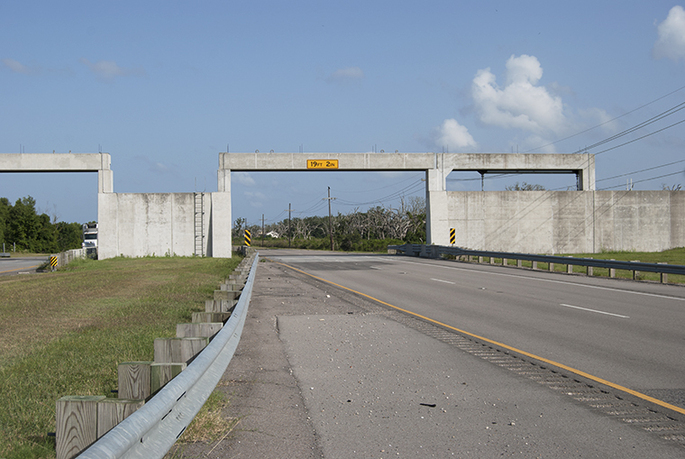 Pivotal moments that influenced federal infrastructure policy such as the 1927 Mississippi River flood and Hurricane Katrina are explored in the context of contemporary architectural styles reflecting the global effects of climate change. Virginia Hanusik is an architectural researcher and artist whose work explores the relationship between the built environment and culture. She is currently the manager of climate change initiatives at The Architectural League of New York. Since 2014, she has worked closely with agencies in Louisiana and New York on water issues related to future planning for coastal and urban environments. Hanusik has been supported by the Geoffrey H. Bruce Fellowship at Arcosanti and the Mellon Foundation for her work in architecture and photography. Her projects have appeared in publications such as Domus, Fast Company, the Atlantic, Places Journal, Oxford American, Newsweek, and Next City. She received her BA in environmental and urban studies from Bard College.